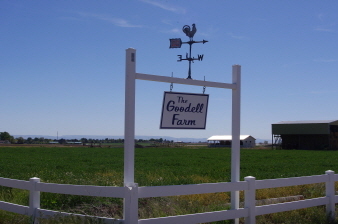 160 acre farm located off of Freezeout Rd. & Goodson Rd. in Caldwell, ID. Prime agricultural ground, 2 adjacent 80 acre parcels, with water rights. Gravity and siphon irrigation. Long time successful farm. Farm land is currently leased out. Includes various out buildings and a 3 bed, 2 bath. Home is currently rented on a month to month lease. House was updated in 2012 with new siding, roof, and windows. New carpet last year.